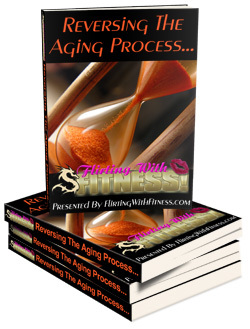 New Report: Reversing The Aging Process! Yours FREE Just For Trying Our Health & Fitness E-Zine! Subscribe to the Flirting With Fitness Fit-Zine for the latest news, views and reviews on the topics of health, wellness, fitness, exercise, building muscle and losing weight - and get this new report as our thank you gift! You're under no obligation - you can cancel your free subscription any time! A Natural Regimen That Steels Your Body and Mind Against the Aging Process! How to Help Your Body Fight and Prevent Disease That Can Rob You of Many Years! able to download this powerful new report for FREE!